The duo started performing regularly in 2009. Shortly thereafter, they released their first recording, Otter Creek, which became the most played instrumental recording on the international Folk-DJ Radio charts. Brad’s original composition “Otter Creek” was the most played instrumental on the charts. Through performance and on the strength of Brad’s first recording, the recently named Strathmore Hall Artist In Resident and WAMU Bluegrass Country DJ has rapidly gained national recognition for his delicate touch and writing. Ken & Brad released Skipping Rocks, their second album, in September 2013. Their latest project “is both technically impressive and musically tasteful, a lovely exploration of both tradition and creativity (and of a warm musical relationship).” – Rick Anderson, CD Hotlist. Skipping Rocks debuted at #4 on the Folk-DJ Charts and in the top 20 on the Roots Music Charts. 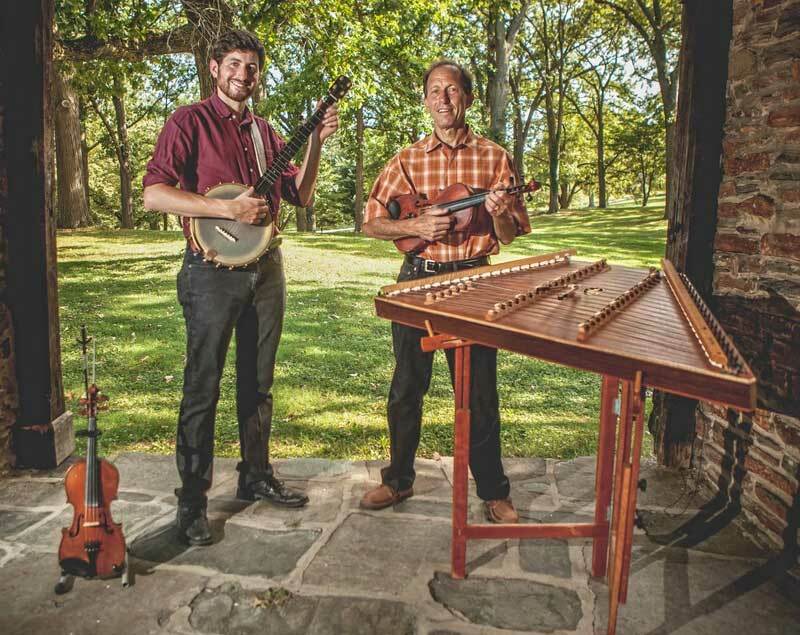 In addition to performing and teaching, Ken and Brad are avid supporters and developers of the Old- Time community in Baltimore. In the spring of 2013, Ken and Brad founded the wildly popular Baltimore Old Time Jam, a bi-weekly gathering of dozens of musicians and Old-Time music fans at Liam Flynn’s Ale House in the heart of Baltimore City. In November 2013, Brad spearheaded the launch of the bi- monthly Baltimore Square Dance at Mobtown Ballroom. The first two dances were packed with over 200 people at each dance.